Murder. Criminal Depositions. Witness Accounts. Evidence. Once upon a time, I wouldn't have imagined that these words would form the fabric of my dinner conversations. 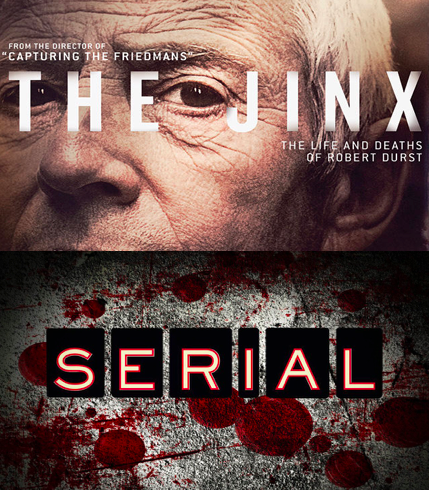 But with the advent of the wildly popular 'Serial,' and polarizing call-it-a-sequel 'The Jinx,' those words are thrown around like seed to hungry birds. We've grown up on ghost stories: Goosbumps and Are You Afraid of the Dark were the fireside tales of the 20-something generation. But we are in a new generation, and this is a new type of ghost story. Because they are not fantasies. They are real. And relevant. 'Serial' and 'The Jinx' have captivated audiences, and these stories represent a groundbreaking year for journalism as entertainment. Documentaries are nothing new. 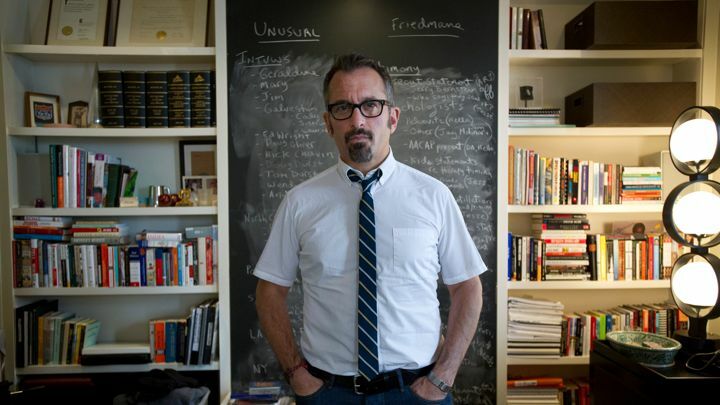 Podcasts, although witnessing a burgeoning rebirth, have been around as long as radio itself. But what 'Serial' and 'The Jinx' have done, inadvertently, is to create stories that have a direct impact on the fabric of our society. Unlike 2014's Citizenfour documentary -- which was a fascinating account of Edward Snowden in its own right -- these pieces of journalistic gold didn't just recount a story: they created one. In the case of Adnan Syed, the wildly popular podcast led to a call for an appeal. Koenig, outside of the bounds of any legal jurisdiction, had free reign to question witnesses and suspects, spinning a story of her own through conversations with those close to the crime. Jarecki turned opportunity into a gift from God after being contacted by Durst following the release of All Good Things, his somewhat-biographical film about the wayward heir. The request for an interview turned into a conversation, which turned into a second conversation, which turned into a much-debated possible confession by the man with the wild eyes and twitchy mouth. How Jarecki handled the evidence -- namely, the entrapment of Durst when showing him a handwritten letter that matched a murder note -- has been hotly debated, but the matter is clear: these stories do, and have, affected real crimes in real time. A movie can't do that. And this, coming from a screenwriter. Sure, a movie can open a conversation. Create discourse. Bring awareness. But investigative documentaries? In this case, they've literally re-opened unsolved murder cases. Cases where lawyers couldn't pin it on the rich man. Couldn't place a high school kid in the library that fateful day. Are professional investigators ineffective? Bumbling? Somehow dumber than these journalists? 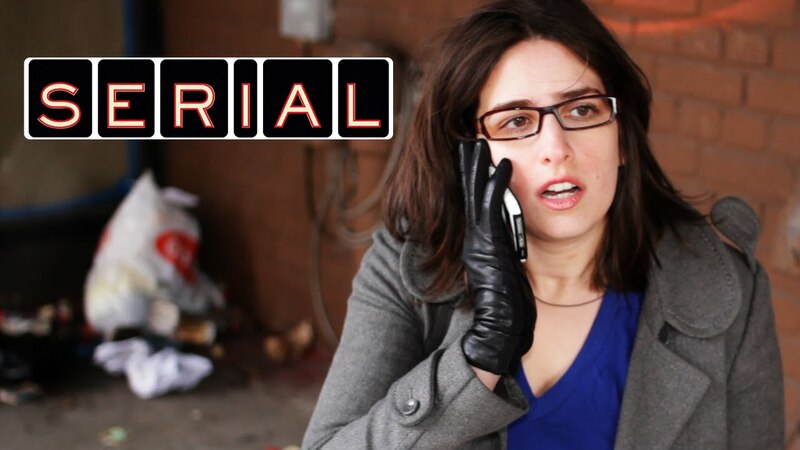 One thing that 'Serial' and 'The Jinx' have in common, other than their mutual focus on murder, is the idea of time. Both of these journalists are approaching the subject matter at a time distanced from the crimes themselves. When the cases are less emotionally fraught, the stakes seemingly lower, if not forgotten. No way Durst would have sat down for an interview when the heat was on him. In every piece of news footage shown in the documentary, he declines all opportunities for comment to the reporters. And what of his decision to speak, after so long a silence? Can we call it vanity? Ego? Did he just get lazy? Clearly Durst wanted to be seen: he glows when the cameras are on him, taunting his brother during sidewalk strolls outside of the Durst building. A man scrutinized for years, yearning for just one more greedy taste of the limelight. And it is this combination, of time with the inescapable draw of celebrity and entertainment, that can coax the snail from its shell. The lion from its den. Pandora from her box. In Jarecki's case, Durst may have signed his own death warrant. His ego got the better of him: he wanted to be seen, and what better feeling than to have a camera crew on him, makeup people fixing his thinning hair, a producer and a director hanging on his every word? 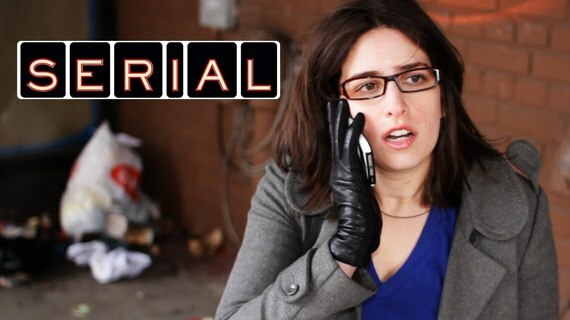 In 'Serial,' it gets a bit more complicated. Syed calls Koenig from jail. His own fate has already been sealed. For him, it is more likely a break from the monotony of prison life than the draw of ego that compels him to talk. So, the allure of journalistic inquiry instead fell upon one of the witnesses: Asia McClain, a woman who had remained silent on the case for over a decade. She was the only person who could place Syed at the library that afternoon, thus discounting the prosecution's assertion of the timeframe in which Syed supposedly killed his girlfriend, Hae Min Li. But she was also the woman who had initially refused contact following the trial. Koenig seduced McClain out, just as Jarecki unintentionally lured Durst with his film. These journalists had a very powerful weapon in the combination of media allure and distance from the events. In the cough-inducing cloud of media dust kicked up following 'The Jinx's' finale, is investigative journalism in danger of curtailment? Will the unrestricted freedoms that Koenig and Jarecki enjoyed as private citizens become folkloric? These investigations -- ostensibly germinating as forums for reality entertainment -- have inadvertently launched us into a new stratosphere, where entertainment changes things. Cases broken and reopened due to the work of private citizens, whose main objective is to educate and entertain their audiences, not necessarily to put them behind bars. You could see in his eyes that Jarecki felt that he was betraying Durst by entrapping him: it wasn't the intention of the documentary, but the unforeseen outcome of it. And, 'The Jinx's' credit sequence could give any scripted HBO show a run for its money. As we watch a new precedent being set by entertainer/journalists, it will be interesting to see if our society can handle this type of revolutionary activism, and what it will mean for the future of unsolved crimes.